Boil dal in plenty of water till soft but not broken. Drain in a colander for 10-15 minutes. Pass through an almond grater little by little till all dal is grated. Mash jaggery till the lumps break. Mix together the dal and the jaggery. Put the mixture in a heavy saucepan and cook till a soft lump is formed. Take care to stir continuously, so as not to charr. Keep it aside. Mix together ghee, flour and enough water to make a soft pliable dough. Take a morsel sized ball of the dough and roll into a 4" round. Place same sized ball of filling in the centre, lift all round and seal the edges. Reroll carefully to a 6" diameter round. Roast on warm griddle till golden brown. Take it on a serving plate and apply a tsp of ghee all over the top. Or you can shallow fry on griddle like a paratha for a better flavour. But this method will consume more ghee and therefore calories. 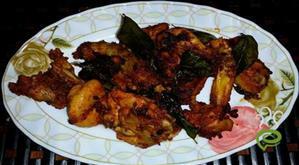 :- Serve hot with dal or amti. 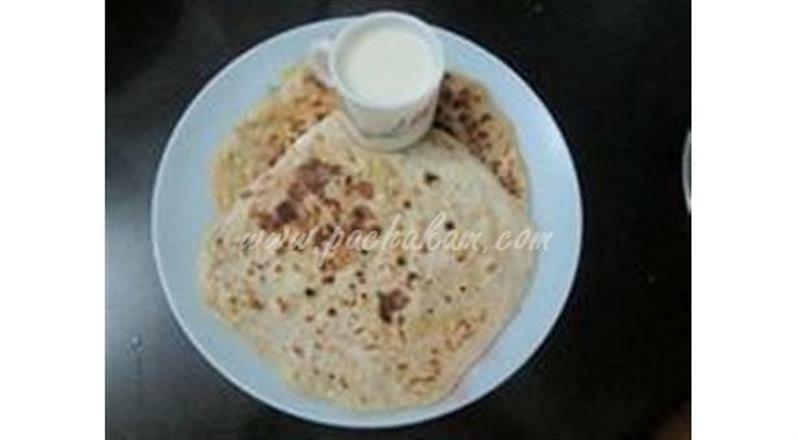 Dis receipe is awesome but the photo uploaded is of 'KARANJEE' (a maharashtrian sweet made during Diwali). adminThank you for letting us. We will change the image..
thanks.i am looking for such a recipe.